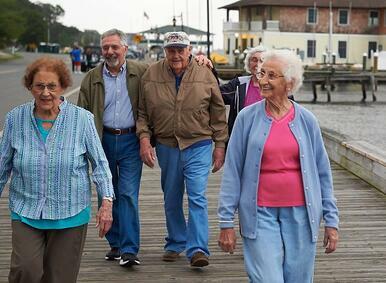 Walking Group Safety for Retirement Communities: Have Fun and Be Safe! Believe it or not, warm weather has arrived in some parts of the country, and is quickly approaching in others. As the sun peeks out from behind the clouds and nature begins to call, many older adults will be heading out the door for a walk outside. This is a very good thing, and should be encouraged for most people. Some retirement communities may even establish walking groups, which can be an extremely rewarding and fun activity for everyone. If you plan to start, or join, a walking group near you, this blog is for you! Here are a few tips to keep in mind as you prepare to walk. If you are responsible for heading up a walking group, keep prescreening in mind. Walking, like any form of exercise, does carry risk. Prescreening is a great tool used in all fitness programs to ensure participant safety, identify risk, and reduce liability of fitness professionals. It is very likely that most people who will want to participate in your walking group will have already been screened during their membership application, and are good to go. However, it is important to make sure everyone in your group has been prescreened and understands the risks involved in exercise prior to joining. This is the first step toward protecting others and yourself. Before you embark on your first walk as a group, make sure everyone knows where you’re going. If you’re the group leader, be sure to go over the route with your participants before you leave. If you’re a participating member of the walking group, be sure to ask where you’re headed if you don’t already know. By sharing the route with all participants, you’re reducing the chances of anyone getting lost along the way. As the leader, you should also share your planned route with someone who will not be joining you. This way, in the event of an emergency, your group will be accounted for. That last one may sound strange, but it is important for anyone experiencing a health issue or needing to rest on the trail to have the option of sitting down. Benches may not always be available in an emergency situation, so bringing another seating option along with you is a good idea. Walking groups are a wonderful way to experience nature when the weather finally lightens up. Whether you are leading the group or joining it, be sure to take some precautions. By making sure everyone in your group has been prescreened, you make the walk safer for yourself and others. Planning and sharing your route before you leave reduces the chances of navigation issues, and ensures that your whereabouts are well known. Finally, by bringing along a few key items on your walk, you’ll be much more prepared for an emergency if it should arise. All of this together will make your walking group experience safer and more fun. Enjoy your walk! 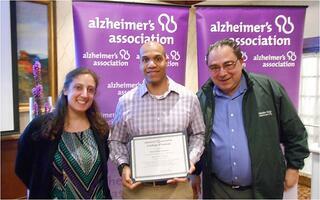 Interested in how NIFS can help your community improve your fitness program? See how we helped a client turn their program around, click below. Truly, one of the things I love about working in senior living is the passion employees have for serving the residents who live in their communities. Despite variation in the physical spaces’ amenities, decor, and size, the culture of caring about the residents is consistent. 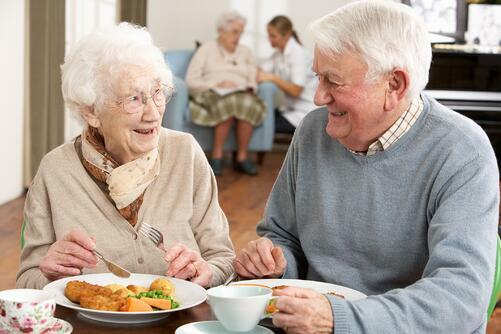 The people who work in senior living are genuinely committed to getting to know their residents as a means of helping them live exceptionally well. wellness, where the bottom line often drives the conversation. And while I think employers do care about their workforce, that’s not their starting point for investing in any wellness initiative. So when I work with senior living communities on improving their programming and activities for residents, I’m often surprised at what an afterthought their exercise amenities and services are. 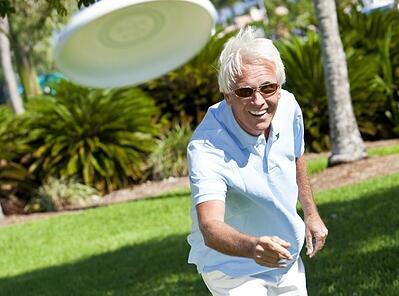 The clear appetite to provide residents with the very best options for living just doesn’t square with what’s in place for resident exercise at the community. improving your resident exercise program with the tips below as ways to live up to your commitment to build active living options for your residents. 1. 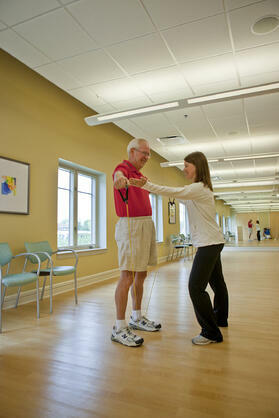 Provide staffing in your exercise program. Residents will not (I repeat, will not) use your exercise equipment and spaces without the right leadership in that area of the community. It’s not sufficient to simply offer exercise classes, nor is it adequate service to have a trainer in the gym a few hours per week to offer assistance on the equipment. You can hire your own manager, or you can work with a fitness management company like ours. For more information on how get exercise leadership right in your community, check out some of the blogs we’ve written on the importance of staffing. 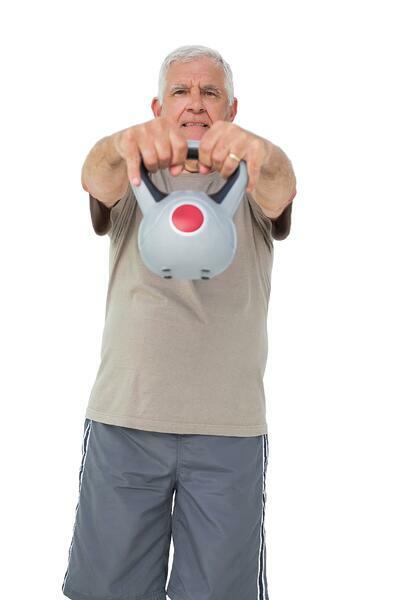 2. Review and update your group exercise equipment when you can. Small weighted balls: Sets of the 1.1# and 2.2# work well. Airex balance pads: Buy enough for each person in balance class to have one. BOSU: Buy a few to use in stations on a strength or balance class. 3. 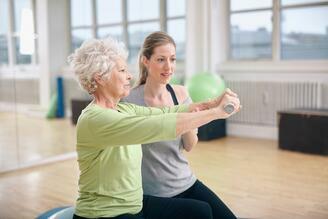 Establish a cross-referral system between your fitness center and your therapy group. If you have qualified staff in your fitness center and there is not already a relationship between that individual and your therapy team, building a bridge between the two is low-hanging fruit on the improving-services tree. Check out this quick read to learn why we believe integration of therapy and fitness is important for resident well-being. 4. 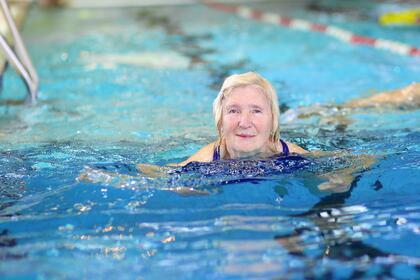 Take a hard look at all of your senior wellness initiatives and how fitness folds into that set of programming. It should be woven in seamlessly among other programs and services designed to engage rather than entertain your residents. If all programming is being carried off in silos, it’s time to take a fresh approach. If participation in programs and services is represented by the same handful of residents, it’s time to re-envision your offerings. If the activities calendar looks pretty much the same as it did last month, last quarter, and last year, it’s time to breathe new life into what you’re offering. Download this quick read for a series of questions you can use to evaluate the quality of your wellness programming. I got a call from a resident of a senior living community the other day. She told me that she’d been thinking about how her community could do better with the exercise program it offers. She saw a lot of potential to build on already successful offerings, and she’d been working with a resident team on this idea. Over the last several weeks, she’d been all over our website and decided it was time to talk about how we might be able to support her team’s goal to report on options to improve the community’s exercise program. The pool is largely empty except for the regularly scheduled water aerobics classes. The fitness center is typically unused because residents don’t feel like they know how to use the equipment to their benefit. She had grabbed our quick read on how to grow participation in your aquatics program, and that’s when it hit her: she knew it all came back to staffing—that having qualified fitness staff running the community’s exercise program was central to its success. So if you’ve been focused on other competing priorities at your community and the exercise program is an afterthought running quietly in the background, now would be a good time to give it a second look. Because your residents are already doing that; and you can bet that if your current residents have a radar for what’s possible, your prospects do, too. Sometimes there’s a hurdle in understanding just what a fitness center manager should be doing. I suppose that varies by community, but for a staffing organization like ours, we have clear expectations and supports for how NIFS staff spend their time in our client’s fitness centers. Maybe you think this kind of astute observation by residents isn’t happening at your community. That might be true, but before you make that assumption, consider how the resident with whom I spoke shared her observations with a prospective resident. She told me that she had invited a friend to dine with her recently who was not a resident of the community but who was shopping for a senior living environment he could call home. He asked her if there was anything negative about living there. She said she couldn’t come up with negatives (which is great! ), but then she told him about how they could do better with their exercise program (which is not so great). And this isn’t the first conversation I’ve had like this where a resident found our organization and reached out to see whether and how we could help. For what it’s worth, your entire wellness initiative may need a review—it’s rare to have a strong exercise program and a weak holistic wellness offering. It’s also unusual to have your holistic wellness program be strong while your exercise program suffers. Wellness and fitness go hand in hand. If you’ve been waiting to address your exercise program until the residents complain, it’s time. Begin your investigation on possibilities by downloading our quick read below designed to help you quickly evaluate your overall wellness program. 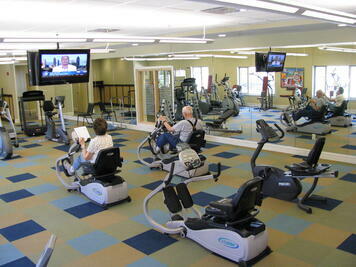 It highlights some broader wellness areas as well as specific exercise program components. Share it with your team and start a conversation about how to do wellness better in your community. As communities have continued to adapt their concepts of and practices around what it means to provide wellness for residents, we have seen program offerings, cultural shifts, and amenity updates that really run the gamut. Some organizations have molded their own definitions of the dimensions of wellness along with branding symbols and adjustment of community taglines. In other cases, senior living communities are just putting a toe in the water by beginning the wellness dimension conversation with residents and employees. I’ve written before about the two primary areas in which communities can position themselves to senior consumers as being a better living option than aging at home. 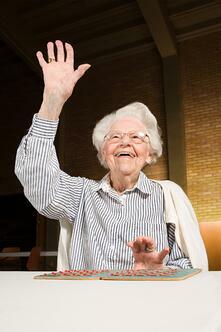 The first differentiator is in the area of care/safety for seniors as they age. The other primary area where communities can stand out from competition lies in residents’ opportunities to experience new places and people, to learn new things, to engage in stimulating discussions, and to participate in strategic reminiscing—all in ways that are unique to a community culture. That second differentiator is your wellness program; it includes programs/events, dining, the physical environment, social opportunities, spiritual connection, emotional care, and intellectual opportunities. It may touch, or run into, a clinical environment. But situating your wellness program in a space that provides primarily reactive care to illness misses the boat entirely and sends a mixed message to your residents. Creating an environment that maximizes well-being requires us to get our heads out of only physical health (and I mean fitness too). It requires adapting the dimensions of wellness into a person-focused framework like the one offered by The Eden Alternative’s domains of well-being. Whether or not an RN with the right background can build your programming strategy and support a built environment that truly facilitates resident well-being depends on the knowledge, skills, abilities, and passions of the RN. I would suggest, however, that physically housing your wellness program in a medical environment, such as your health clinic, will limit your ability to deliver on a message of distinction about what it means to live well in the community because you’re blending the care/safety distinction with the wellness differentiator. By marrying them both that tightly, you’re diluting the message. For seniors who know they need the clinical support but aren’t quite ready to address that for themselves (and how many prospects are psychologically in this place? ), they won’t hear a message about wellness that stems from the clinical care. I’m not advocating that the clinic and the wellness offerings operate in distinct silos. I am, however, suggesting that wellness doesn’t start with medication management, blood pressure regulation, or access to a podiatrist. Helping individuals be individually well begins with understanding what creates purpose for them. The clinical care is a byproduct of age. Choices on how to live well are core to who the individual is. Attention to that fundamental element of each resident deserves staff and spaces that are dedicated to the lifestyle you’re promising each resident. Interested in knowing how you could do wellness better for your residents? Click below to find out how NIFS can assist you with wellness consulting.